A group representing hundreds of thousands of students across Canada has launched an online campaign calling on Prime Minister Justin Trudeau’s government to make billions of dollars in student loans interest-free. A group representing hundreds of thousands of students across Canada has launched an online campaign calling on Prime Minister Justin Trudeau's government to make billions of dollars in student loans interest-free. 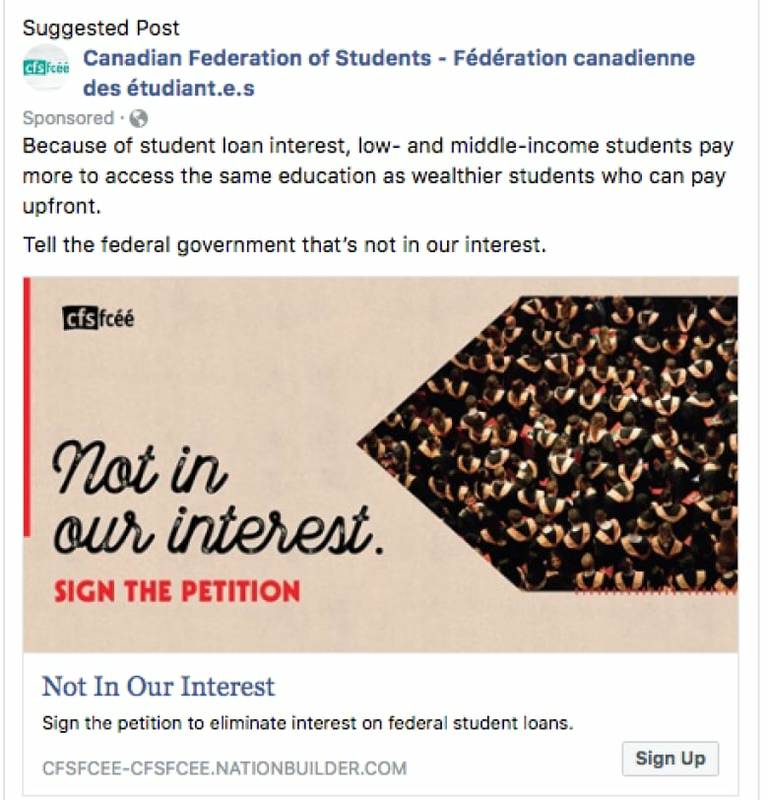 In a series of Facebook ads, the Canadian Federation of Students says the federal government shouldn't be profiting from student loans and should follow the lead of five provinces that have eliminated interest charges. "The reason why we're running this campaign is because right now in Canada, there's a student debt crisis," said Peyton Veitch, treasurer of the federation. "Right now, students collectively owe $28 billion in debt to all levels of government. $19 billion of that is owed to the federal government." In 2015/16 the Canada Student Loan program provided $2.7 billion in loans to nearly 490,000 full time post-secondary students, according to the program's annual report. In most provinces, when students apply for financial aid through their provincial program, they are automatically assessed for a Canada Student Loan. 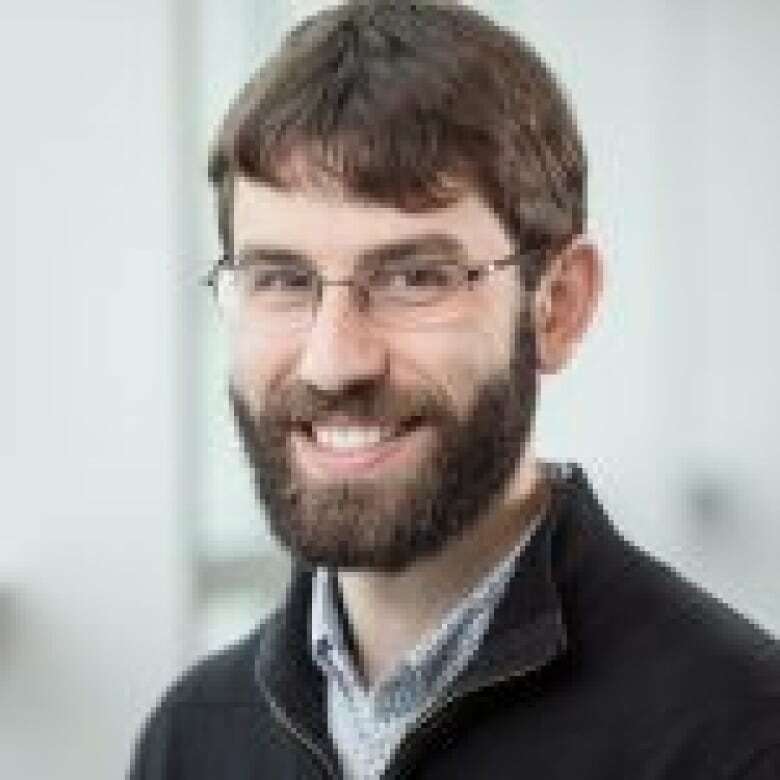 Veitch questioned why the federal government gives interest-free loans to private companies while charging recent graduates higher interest rates than most people currently pay on their mortgages. The formula for calculating student loan interest rates has not changed since 2000 – prime plus 2.5 per cent for variable rate loans and prime plus 5 per cent for fixed-rate loans. The prime rate, the rate banks charge their best customers, is currently 3.45 per cent. Variable mortgage rates at most major Canadian banks are currently around 2.4 per cent. 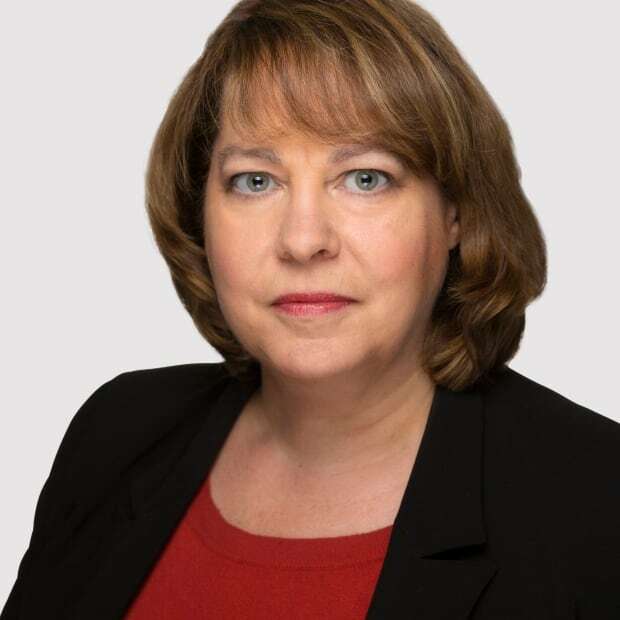 "A government that has been prepared to issue interest-free loans to Bombardier — a private aerospace corporation, who then turned around and rewarded its senior executives with bonuses, should also be prepared to offer interest-free loans to students who are trying to pursue the post-secondary education that's absolutely necessary in today's labour market." However, Employment, Workforce Development and Labour Minister Patty Hajdu dismissed the call to make student loans interest-free. Her office said the government has increased funding for grants, which means that students don't have to borrow as much. 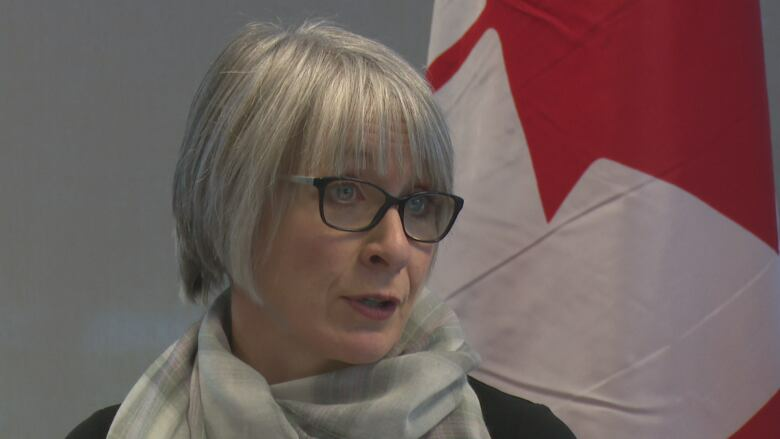 "This government wants to put a post-secondary education within reach of more Canadians than ever before," Hajdu said in a statement. "So we've focused on historic increases to student grants, which never need to be paid back, as opposed to repayable loans. This has put $4,000 more in the pockets of students who need it most over the course of a four-year program." The government has also eased rules regarding repayment, such as not requiring graduates to make repayments while they earn less than $25,000. 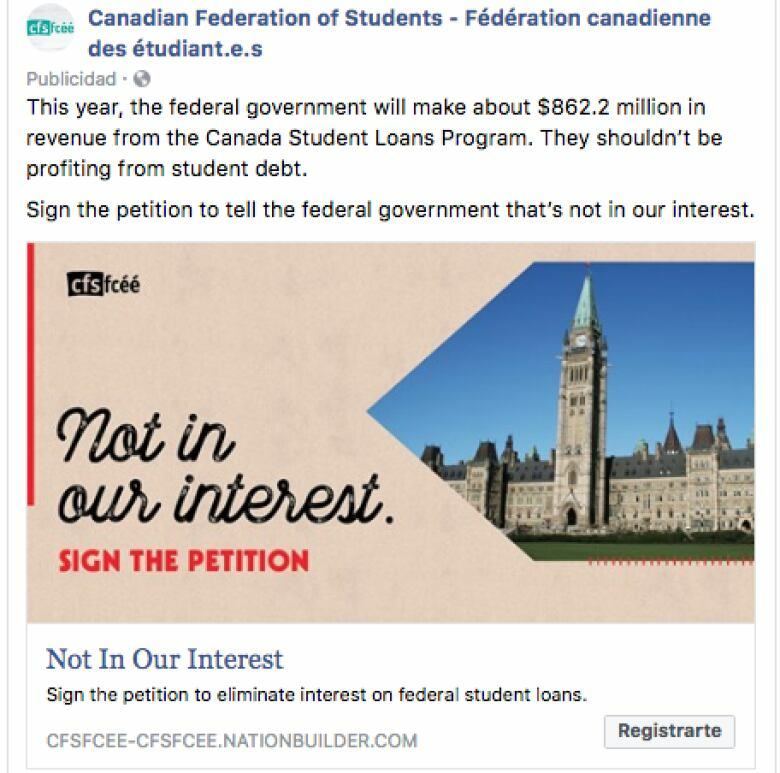 The federation's Facebook ad campaign comes as thousands of college and university students across Canada are graduating and facing the prospect of having to start paying back thousands of dollars in student loan debt that they have racked up over the course of their studies. University students graduate with an average debt of $16,727, while college students have an average debt of $10,172, according to the Canada Student Loans Program annual report. In the case of doctoral students, the average debt at graduation is $29,000. CBC News learned about the Facebook ads after they were gathered by a Facebook ad collector built by ProPublica, an American non-profit investigative journalism organization. CBC News has partnered with ProPublica to investigate the use of political ads. According to the information picked up by the collector, the federation has asked Facebook to microtarget ads to people who list on their Facebook profiles educational institutions, for example, Lakehead University or Carleton University. They are also targeting people between the ages of 18 and 30 who live in Canada. Political ads are targeting you on Facebook. Help us find out how. The federation's Facebook ads include the slogan "Not in Our Interest" and highlight different aspects of the question. "Because of student loan interest, low and middle-income students pay more to access the same education as wealthier students who can pay upfront," reads one. "This year, the federal government will make about $862.2 million in revenue from the Canada Student Loans Program," reads another. "They shouldn't be profiting from student debt." "Five provinces have eliminated interest on provincial student loans — but federal loans have one of the highest interest rates," says a third. Veitch said Manitoba, Newfoundland and Labrador, Nova Scotia and Prince Edward Island have eliminated interest rates on their portion of student loans. British Columbia has announced that it will eliminate interest rates. Two members of Trudeau's own cabinet are still dealing with student debt. According to their filings with Canada's Conflict of Interest and Ethics Commissioner, Status of Women Minister Maryam Monsef has an Ontario student loan while Immigration Minister Ahmed Hussen has a student line of credit and his wife has student loans with the federal and Ontario governments. While the ads say the federal government collects $862 million a year in interest payments, a number Veitch says comes from an actuarial report, the government's Public Accounts show revenues from student loan interest of $662 million in 2016/17 and $635 million the year before. 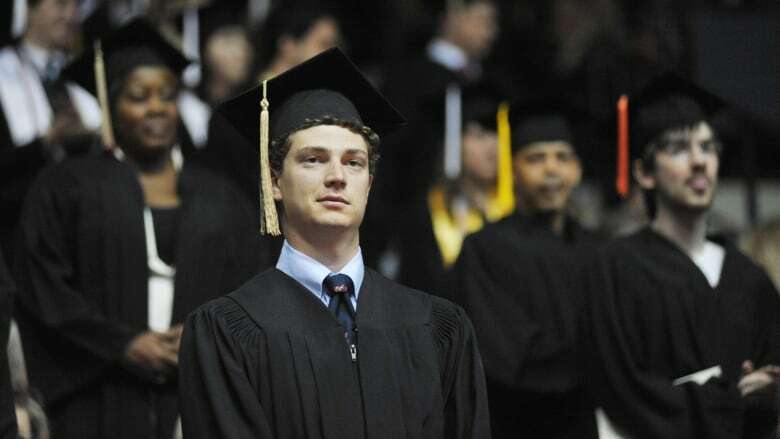 The New Democratic Party's policy calls for interest on student loans to be eliminated over the course of seven years. The Conservative Party does not have a policy on the question. Learn more about how you can help CBC News investigate political ads on Facebook.